Harrington Harbour, situated on the West Cumbrian coast just south of Workington, was originally developed as an iron ore and coal port. The first small quay at the mouth of the River Wyre was constructed by Henry Curwen in 1760. At that time there were no houses in the area and no ships were recorded as belonging to Harrington. But by 1794 there were around 60 ships. The main cargoes were coal being shipped to Ireland from Curwen's mines nearby, as well as lime from Distington to Scotland. The harbour has a pier to the south and a new breakwater to the north, but it is exposed to the west resulting in high swells in bad weather. There is a cill across the harbour entrance, but no dock gates. 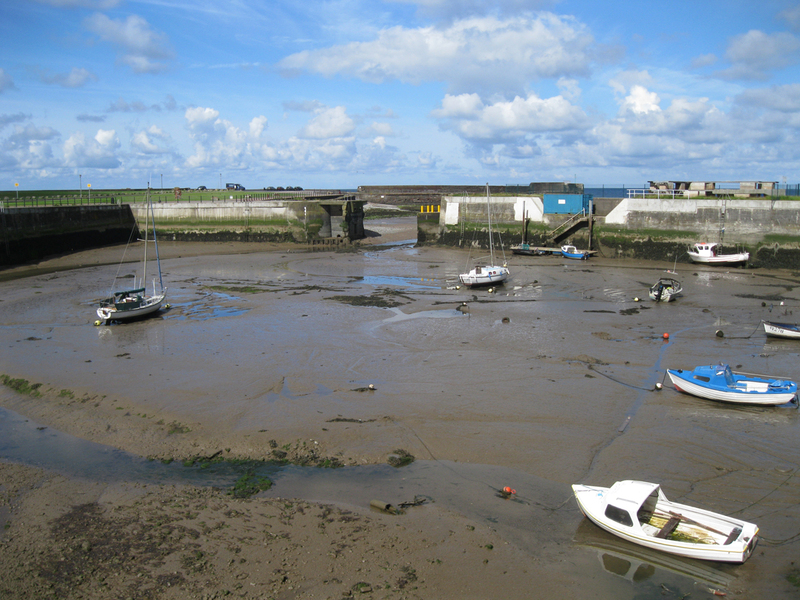 Access to the harbour is 2½ hours either side of high water, but boats sit on the mud at low tide. It currently has 14 yacht moorings for boats up to 34 feet and 25 moorings for boats under 20 feet. In addition there are six moorings for larger fishing boats up to 35 feet and one for official visitors. A new breakwater has been very effective at providing calm conditions on the beach, with minimum access of three hours either side of high water, but a slipway is required to allow 'trailer-sailors' to access the water. There is scope to encourage water sports, and the sailing club based there is well placed to provide facilities for training.